Brand NEW! Red Pearl 2019 Jeep Cherokee Latitude Plus 4WD with Comfort & Convenience Group and Cold Weather Group. 9-Speed 948TE Automatic 3.2L V6 115V Auxiliary Power Outlet, Air Conditioning ATC w/Dual Zone Control, All-Season Floor Mats, Auto-Dimming Rear-View Mirror, Cold Weather Group, Comfort/Convenience Group, Engine Block Heater, Heated Front Seats, Heated Steering Wheel, Humidity Sensor, Power Liftgate, Premium Air Filter, Quick Order Package 26D, Remote Start System, Security Alarm, Universal Garage Door Opener, Windshield Wiper De-Icer. Thys Price includes our discount and common incentives that most customers can qualify for. In some cases, not all incentives will apply to all customers. In other cases, there may be additional incentives to improve the price. See dealer for details. New Price! Billet Silver Metallic 2018 Jeep Wrangler Unlimited Sport 4WD 8-Speed Automatic 3.6L 6-Cylinder Wrangler Unlimited Sport, 8-Speed Automatic, 4WD, Quick Order Package 24B. 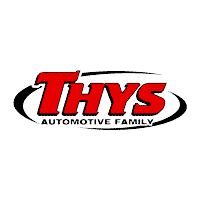 Thys Price includes our discount and common incentives that most customers can qualify for. In some cases, not all incentives will apply to all customers. In other cases, there may be additional incentives to improve the price. See dealer for details. Brand New! Diamond Black 2019 Jeep Cherokee Latitude Plus 4WD with Trailer Tow Group, Comfort and Convenience Group and Cold Weather Group. Includes... 9-Speed 948TE Automatic 3.2L V6 115V Auxiliary Power Outlet, 7 & 4 Pin Wiring Harness, Air Conditioning ATC w/Dual Zone Control, All-Season Floor Mats, Auto-Dimming Rear-View Mirror, Auxiliary Transmission Oil Cooler, Class III Receiver Hitch, Cold Weather Group, Comfort/Convenience Group, Engine Block Heater, Heated Front Seats, Heated Steering Wheel, Heavy-Duty Engine Cooling, Humidity Sensor, Power Liftgate, Premium Air Filter, Quick Order Package 26D, Remote Start System, Security Alarm, Trailer Tow Group, Trailer Tow Wiring Harness, Universal Garage Door Opener, Windshield Wiper De-Icer. Bright White Clearcoat 2019 Jeep Grand Cherokee Altitude 4WD 8-Speed Automatic 3.6L V6 24V VVT Brand New, 115V Auxiliary Power Outlet, 1-Year SiriusXM Radio Service, 1-YR SiriusXM Guardian Trial, 4G LTE Wi-Fi Hot Spot, 5-Year SiriusXM Traffic Service, 5-Year SiriusXM Travel Link Service, 8.4" Touchscreen Display, Altitude Grille, Altitude IV Package, Apple CarPlay, Auto-Dimming Rear-View Mirror, Black Suede Seats w/Black Stitching, Body Color Claddings, Body Color Fascia, Body Color Shark Fin Antenna, Dark Day Light Opening Moldings, Dark Headlamp Bezel Finish, Dark Lens Taillamps, Front Accent/Body Color Fascia, Gloss Black Rear Fascia Applique, Google Android Auto, GPS Antenna Input, GPS Navigation, HD Radio, Instrument Cluster w/Off-Road Disp. Pages, Integrated Center Stack Radio, Integrated Voice Command w/Bluetooth, Jeep Black Gloss Badging, Power 4-Way Driver Lumbar Adjust, Power 8-Way Driver/Manual Passenger Seat, Power Liftgate, Quick Order Package 2BZ Altitude, Radio: Uconnect 4C Nav w/8.4" Display, Rear Accent/Body Color Fascia, Rear Fascia Black MIC Step Pad, Security & Convenience Group, Security Alarm, Single Exhaust w/Bright Tip, SiriusXM Satellite Radio, SiriusXM Traffic Plus, SiriusXM Travel Link, Steering Wheel Mounted Audio Controls, Universal Garage Door Opener, USB Host Flip, Wheels: 20" x 8.0" Gloss Black Aluminum. Recent Arrival! Crystal Metallic 2019 Jeep Grand Cherokee Limited 4WD 8-Speed Automatic 3.6L V6 24V VVT Quick Order Package 2BH. Thys Price includes our discount and common incentives that most customers can qualify for. In some cases, not all incentives will apply to all customers. In other cases, there may be additional incentives to improve the price. See dealer for details. Mojito Clearcoat 2019 Jeep Wrangler Unlimited Sahara 4WD 8-Speed Automatic 2.0L I4 DOHC Wrangler Unlimited Sahara, 4WD, Mojito! Clearcoat, 8.4" Touchscreen Display, Auto-Dimming Rear-View Mirror, Cold Weather Group, Electronic Infotainment System Group, Emergency/Assistance Call, For Details, Visit DriveUconnect.ca, GPS Navigation, HD Radio, Heated Front Seats, Heated Steering Wheel, Quick Order Package 28G, Radio: Uconnect 4C Nav w/8.4" Display, SiriusXM Traffic Plus, SiriusXM Travel Link. Thys Price includes our discount and common incentives that most customers can qualify for. In some cases, not all incentives will apply to all customers. In other cases, there may be additional incentives to improve the price. See dealer for details. Recent Arrival! Brand New 2019 Jeep Wrangler Unlimited Rubicon 4WD 8-Speed Automatic 2.0L 4-Cylinder Turbocharged Engine with 8.4" Radio & Premium Audio Group, 8.4" Touchscreen Display, Auto-Dimming Rear-View Mirror, Auxiliary Switches, Blind Spot & Cross Path Detection, Class II Receiver Hitch, Cold Weather Group, Daytime Running Lamps LED Accents, Fog Lamps, GPS Navigation, HD Radio, Heated Front Seats, Heated Steering Wheel, LED Lighting Group, LED Reflector Headlamps, LED Taillamps, ParkSense Rear Park Assist System, Quick Order Package 28R, Radio: Uconnect 4C Nav w/8.4" Display, Safety Group, Trailer Tow & HD Electrical Group. Thys Price includes our discount and common incentives that most customers can qualify for. In some cases, not all incentives will apply to all customers. In other cases, there may be additional incentives to improve the price. See dealer for details.